Hiking trails on Maui at Haleakala National Park. Through petroglyphs, heiaus and historic buildings, you can understand the forces that have shaped Maui’s history. 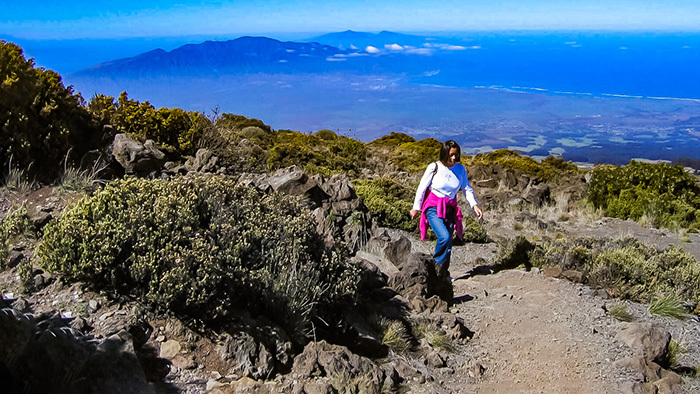 One of the best ways to see these places is by hiking the historic trails on Maui. 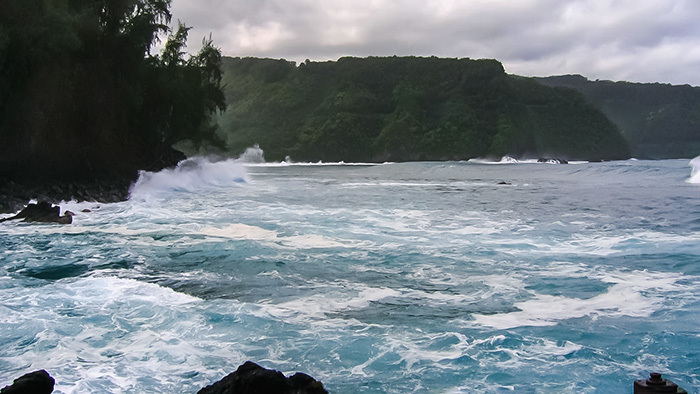 Rugged coastline off the Hana Highway. This historic footpath dates back to the 16th century. This hand-laid stone path was one of the longest routes around the island of Maui. Builders made it out of fitted basalt rocks over 138 miles with a width between 4 to 6 feet. At the time, the King’s Highway was the only path to circumnavigate an entire island in Hawaii. The King’s Highway was the primary route for travel and commerce. Most importantly, it enabled kings to control the island. For 250 years, people actively used this footpath until the mid-1700s. This was when Kalani’opu’u, the King of the Big Island, gained partial control of Maui. During this time, the road fell into disrepair. While much of the road has eroded away, parts of it are still visible and accessible to hikers. The trail passes through ancient heiaus, gardens and dwelling sites. Some of the most compelling parts of the path lie alongside the Hana Highway. You can find one of the most popular trails on Maui in Lahaina. Here, visitors can explore fascinating aspects of Hawaiian history. Adventurers can pass by the Old Lahaina Lighthouse. King Kamehameha III commissioned it in the 1840s to serve as a guide for incoming whalers and merchant ships. The walk also includes the famous Banyan Tree Park on Front Street. 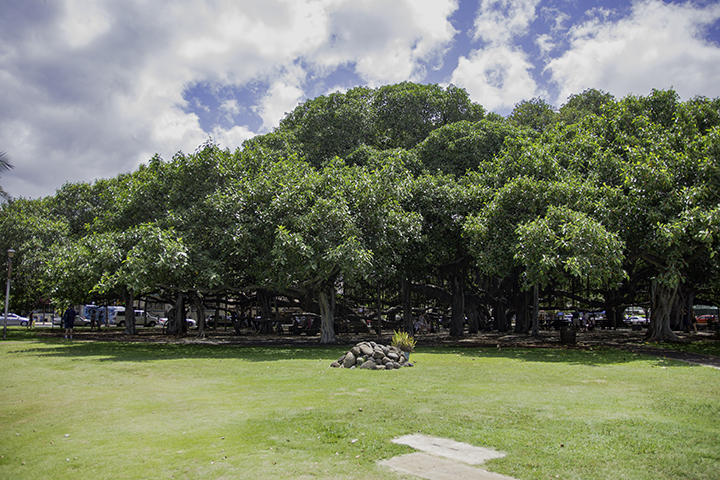 The tree lies near Lahaina Harbor and the historic Lahaina Courthouse. Here, you can find the remains of a waterfront fort built in the 1830’s. There’s the historic Pioneer Inn, once the only accommodations in this part of Maui until the mid-1950’s. There are also the remains of the Brick Palace, the first western style building in Maui. Finally, you’ll see the Hauola Stone, a traditional ancient Hawaiian healing stone. While this place appears unremarkable, the King’s Taro Patch or Kapukaiao is a significant place. It is where King Kamehameha III demonstrated the dignity of laboring in the taro fields to his subjects. Travelers can pass by other historic sites, such as Baldwin House Museum. Nearby Richard’s House, was the first coral stone house built on Maui. While the Master’s Reading Room is where sailing ship captains could meet. Visitors can also explore Hale Piula, a simple iron-roofed second home of Kamehameha III in the 1830’s. 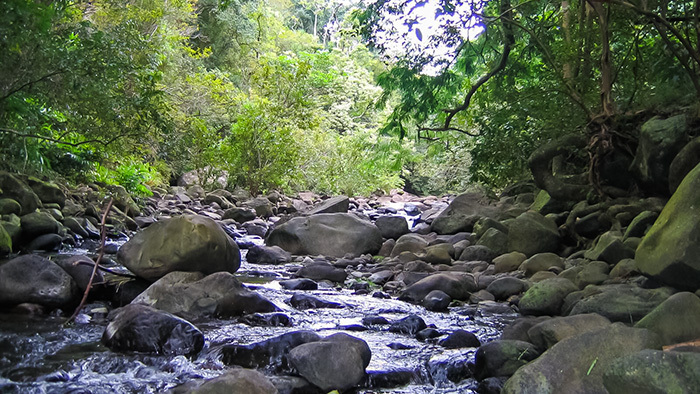 Those wishing to head into the verdant mountains of Maui can trek through ‘Iao Valley. This is one of the most historic trails on Maui. Here, you can stand beneath the ancient and iconic ‘Iao Needle peak. This valley is where King Kamehameha I conquered Maui in 1790 in the Battle of Kepaniwai, unifying the Hawaiian Islands under his rule. The area offers a scenic hike along a 10-mile stretch through lush forests and mountain streams.